Lahore, the cultural heart of Pakistan and the capital city of the province of Punjab is a home to some of the most amazing entertainment zones in the country. The city of Lahore boasts world class shopping malls, residential societies, entertainment opportunities and ultra-luxury hotels. The leading architects and interior decoration companies in the country have done great contribution towards the landmark construction in Pakistan. Below is the list of the top luxury hotels in Lahore, some of which have even won international awards for interior designing and architecture. Pearl Continental Hotel is a five star hotel located on Lahore’s most prominent boulevard ‘The Mall’. PC Lahore is undoubtedly one of the largest and lavish hotels of Pakistan. It is often a home to the world’s most prominent people on their trip to Pakistan. The hotel is owned by Hashoo Group that owns many other hotels and industries in the country. The Pearl Continental Hotel is situated opposite to the Punjab governor’s house on the mall road also known as Shahrah-e-Quaid-e-Azam. Apart from the standard rooms and luxury suites, the hotel comprises meeting rooms, banquet halls and a lot more. 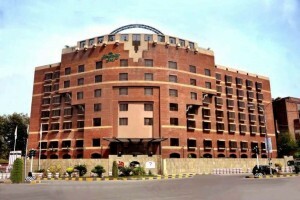 Avari Lahore is one of the largest and topnotch five star hotels of Pakistan owned by Avari Hotels International, a company that owns and operates hotels and other properties in Pakistan, Dubai and Toronto. The hotel was founded by the company’s CEO Dinshaw Avari and is now owned and managed by his son Byram Dinshawji Avari. 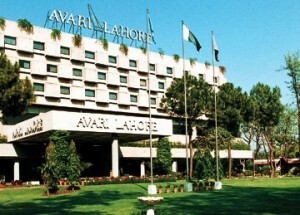 Avari Lahore is situated on mall road of Lahore opposite to the Pearl Continental Hotel on the same road. 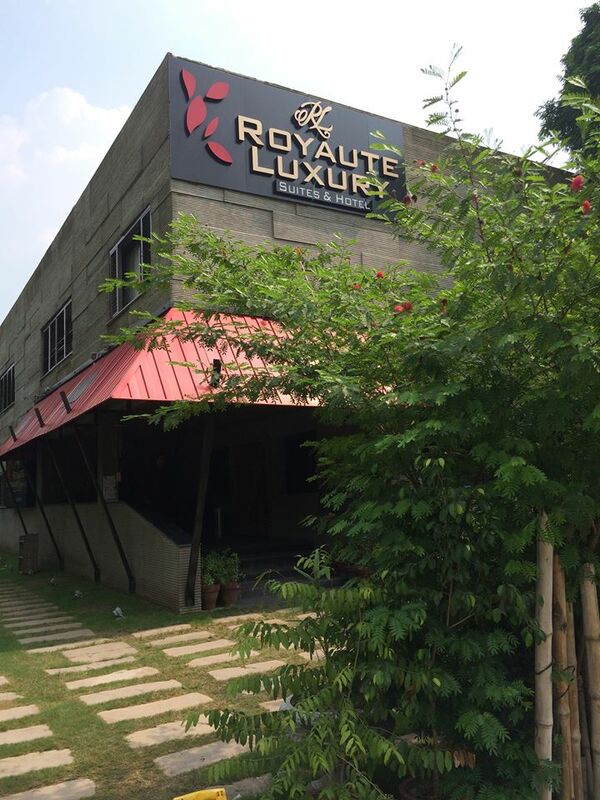 This amazing hotel is located on M.M Alam Road Gulberg – the metropolitan area of Lahore, Royaute Luxury Suites & Hotel is a true example of landmark construction in Lahore designed and developed by the leading interior design and architecture firm of Pakistan, Amer Adnan Associates®. The hotel has won many awards for its immaculate interior design including the Asia Pacific Award for Hotel Interior in Pakistan. The hotel’s design is meant to provide a comfortable experience to guests in an artfully arranged setting. The hotel intends to cater to the needs of modern business individuals, holidaymakers, young folks eager for entertainment and for anyone who is seeking accommodation in the central business district of Lahore City. 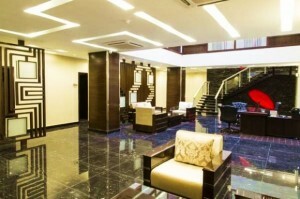 Hospitality Inn is the franchise of Maverick International. The company owns many amazing hotels across the country. The hospitality inn was formerly known as Holiday Inn. 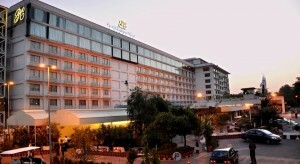 The hotel lies in the center of Lahore city on the Egerton Road nearby mall road. The hotel is surrounded by many prominent as well as historical buildings of the cultural heart of Pakistan. The special intimate ambience of the hotel makes anybody feel like being in a Florentine home. The hospitality inn comprises all the facilities any business or leisure travel could expect including luxury rooms, swimming pools, live music and a lot more.